What's my Heritage Ranch home worth? 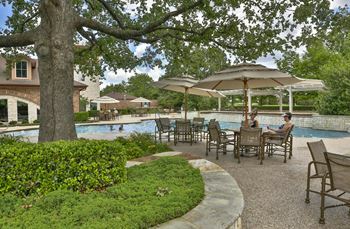 Heritage Ranch is a unique setting hidden away within 575 acres of rolling, wooded terrain and ponds designed to offer a resort style living experience for active adults. This premier gated community in Fairview Texas for active adults 50+ is minutes from shopping, dining, entertainment and medical resources. The Heritage Ranch Golf & Country Club is an 18-hole Arthur Hills designed world class championship public golf course wrapped around wooded hills, lakes and creeks. 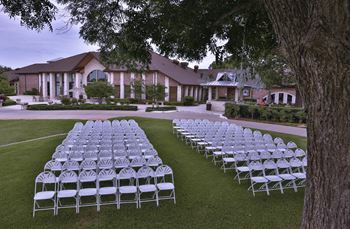 The rustically elegant 24,000 square foot clubhouse overlooks the golf course and wooded hills. Homeowners enjoy a secluded residential area of 1144 homes and villas. Several major companies (Toyota, State Farm, Liberty Mutual and Fedex) are flocking to the area due to the prime real estate, excellent climate and thriving economy in North Texas leaving hundreds of employees looking to purchase Heritage Ranch Homes for Sale. 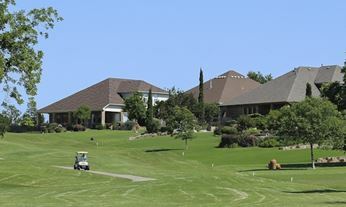 The homeowners association provides activities and clubs for all residents with a full time activities director, fitness center, indoor and outdoor swimming pools, lighted tennis courts, bocce ball, croquet courts, library, billiards, game rooms, arts & crafts facilities, scenic ponds, shaded walking trails and meandering cycling paths. Visitors to the community will immediately notice the beautifully landscaped and well-maintained common areas and privately owned, maintained and controlled streets. Information about Heritage Ranch homes for sale and Heritage Ranch Real Estate can be found by stopping by our office just south of the community in the Castle Hills Village Shops. Stop by or call Renee Mears Realtors for available single family homes, townhomes, duplexes or condos for sale in Heritage Ranch. Click on the tabs above to find out the value of your Heritage Ranch home. When looking to buy a home in Heritage Ranch or sell a home in Heritage Ranch it is always best to use an experienced Heritage Ranch Realtor. CB JENI HOMES JOSEY floor plan. 3 Bedrooms, 2.5 Baths, 1 Living, 1 Dining, Over-sized 2 car garage. As the introductory 3-bedroom concept in Apple x2019;s Crossing, this floor plan has some high expectations to deliver on and it does just that! With a large master bedroom and a his-her closet configuration, the Josey has all the right space in all the right places! A private kitchen and dining area off the living room gives this floor plan a quiet and cozy feel that will make you feel right at home! Come see it today! New LENNAR 5 bedroom 4.5 bath with gameroom, formal dining & covered patio. Wood look tile floors in entry, kitchen, living, dining, hallways & all wet areas. 2 CM quartz countertops in the kitchen. Wi-Fi Certified Smart Home powered by Amazon Alexa!! Rounded corners, 2 in. faux wood blinds, ceiling fans and much, much more! Move-in ready!! CB JENI HOMES TRINITY floor plan. 3 bedrooms, 2.5 Baths, 1 Living, 1 Dining, Loft, Over-sized 2 car garage. As the largest townhome floor plan in Apple x2019;s Crossing, this home sets the bar for 2,200 sq. ft. homes. With a large living room and open kitchen-dining area, the Trinity makes entertaining easy! The upstairs contains a large loft for additional entertainment or can even be used as a private retreat from the rest of the home. The stairs are tucked away and lead to a large master bed and master bath for the ultimate privacy and relaxation. Come get a tour of this stunning floor plan today! CB JENI HOMES BELLE floor plan. 2 Bedrooms, 2.5 Baths, Loft, 1 Living, 1 Dining, Over-sized 2 car garage. This beautiful 2-bedroom, open concept design is highlighted by tall ceilings and lots of closet space! At 1,800+ sf this floorplan is perfect for downsizers and first-time homeowners alike! A large master and loft area upstairs perfectly balances the large living and kitchen area downstairs. Your guests will enjoy morning coffee on their own private balcony! Come see this outstanding open concept design and view the gorgeous amenities offered at our newest community...Apple x2019;s Crossing in Fairview! This Santa Barbara Classic is tucked away on a tree covered hill and created for comfortable family living and entertaining. Farm to table inspired cook x2019;s kitchen with all luxury appliances: Viking, Thermador and Subzero. The large chef x2019;s island is anchored by the keeping room and fireplace. Architectural ceilings, gallery walkways, intricately inlayed reclaimed tile and special touches from around the world show off the custom workmanship of this beautiful Tim Jackson built home. Let your evenings be inspired under the outdoor patio overlooking the pool, trees and lush grassy area. Located in Lovejoy ISD and minutes away for the vibrancy of x201C;Old Town McKinney x201D;.